Lots of updates inside, the 4-5 car garage and an incredible back yard make this a one of a kind and a must see! 4 bedroom, 2 bath multilevel home is located on a double lot w/completely fenced in back yard featuring double custom deck & hot tub. There are two garages, one 2 car that is set up as heated man cave/shop and one 2-3 car w/tons of storage. You will love the bright open feel of the great room w/cathedral ceilings, hardwood floors throughout the main level, remodeled kitchen & baths. 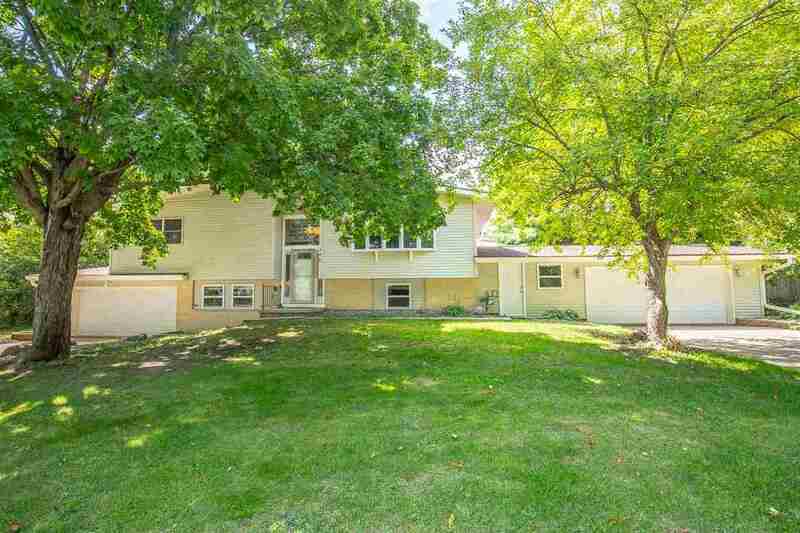 There's an exposed lower level w/large family room, bedroom & full bath. So much to offer here! Directions: Main St To South On Walker Way To Left On Sunfield St To Left On Queens. Home On Left.